In the annual Top 20 Under 40 program, sponsored by Seneca School of Aviation and organized by Wings and Helicopters, 20 inspiring young leaders are recognized for actively influencing the direction of Canadian aviation and aerospace. Presented here alphabetically, this diverse group of exceptional leaders represent industry innovation, corporate development, entrepreneurial leadership and pure passion for the vast possibilities of aviation and aerospace. These 20 leaders, who are all under the age of 40 as of December 31, 2018, were selected by our editorial team following a nomination process over several months and through industry outreach to find individual achievement and commitment to the communities and companies they help lead. 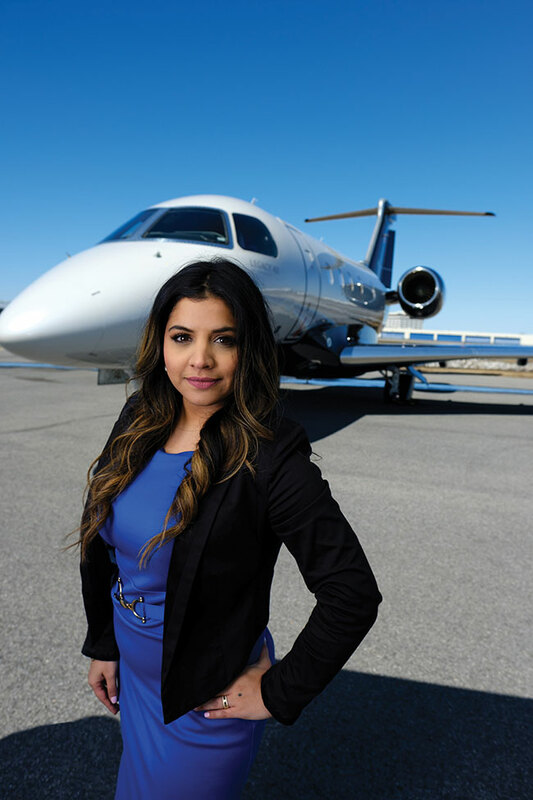 Bonnie Bhalla, age 32, joined World Fuel Services Corp. as a sales executive in late 2016, after that company acquired the aviation fuels business of Imperial Oil in Canada. The Imperial acquisition made World Fuel Services (WFS) an ever stronger player in Canada’s aviation industry. World Fuel manages more than 7.3 billion gallons annually in the worldwide aviation sector, its largest revenue-generator over land and marine operations, which equates to dealing with some 3,000 airports, 15,000 customers and more than 3.2 million annual transactions. Robert Brunnenmeir, age 36, started Flightpath Charter Airways with a Piper Navajo back in 2006 at the Region of Waterloo International Airport (YKF), in Breslau, Ontario. Today, Flightpath has expanded to hold more than 15 different private jets and turboprops with bases not only in Breslau (Waterloo), but also Charlottetown (YYG), Montreal (YUL), Barrie (YLS), Toronto (YYZ) and Winnipeg (YWG). Flightpath now operates a variety aircraft to meet diverse client needs, such as a Beachcraft King Air 200, Bell 206 Long Ranger, Embraer Phenom 100 and 300, Cessna Citation CJ3, Bombardier Learjet 45, Embraer Legacy 450, Bombardier Challenger 604, and Bombardier Global Express types. A graduate of Western University’s Commercial Aviation Management program, Brunnenmeir gained his first professional experience working in the banking industry for three years before becoming a fight instructor at the Waterloo Wellington Flight Centre. A year later, he founded Flightpath to combine his passions for business and aviation. Brucks continues to explain how Cook utilizes his nine years of experience with Signature: “His innovative single point of contact approach and willingness to tackle any of the multitude of issues that may arise from aircraft, crew, weather conditions and passengers have made him an indispensable asset to the everyday operations at Signature.” Cook also trains new marshallers at Signature Toronto. Cook was elected as chief union shop steward, Local 2413, in January of 2017. As a result, he became an integral part of the bigger operations picture at Signature Toronto. His interest in aviation began at a young age, receiving his recreational solo pilot permit at age 14. Today, Cook is the youngest lifetime sustaining member of the Brampton Flying Club where he bases his Cessna 172. 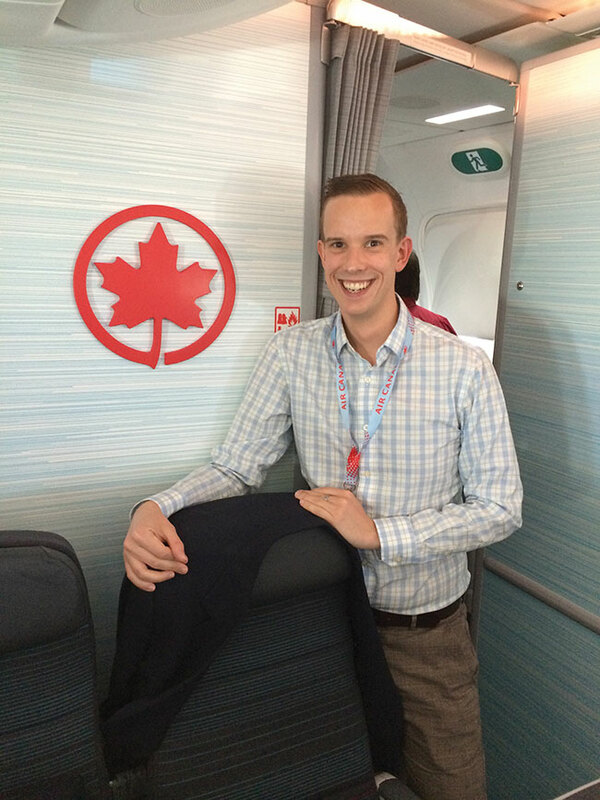 Sebastian Cosgrove, age 31, has developed an impactful career with Air Canada in seven short years. In his current role, Cosgrove formed the Cargo Customer Relations department to resolve customer issues, globally. He developed the policies, procedures and compensation framework for the department. Cosgrove also manages all media escalations for Cargo, including social media and traditional media outlets. This past year, he organized hurricane relief efforts at Cargo, which delivered more than 8,000 kilograms of aid to impacted regions. In addition to this, he organized an company event where employees and GlobalMedic worked together to create humanitarian aid kits, which would serve more than 1,000 families. Cosgrove also launched Air Canada’s internal social network, Yammer, in 2012 for In-Flight Service (a user group of around 7,000). The pilot project was then rolled out to the rest of the organization’s 30,000 employees. This internal social platform won Best Social Intranet of 2012 from Ragan Communications. Cosgrove began his career at Air Canada as a temporary flight attendant. Throughout the summer, he would fly for the company as a trilingual (English, French and Italian) flight attendant. In the fall, he would return to school to complete his B.A and B.Ed degrees at Trent University and Queen’s University, respectively. He is an active volunteer on Trent University’s Alumni Council, where he was recently elected as VP, communication and membership services. With these accomplishments and more, Cosgrove received the 30th edition of Air Canada’s Award of Excellence, the airline’s highest recognition and a peer-driven program. He was selected for the award along with 57 others out of the company’s 30,000 employees. Tyler Hunt, age 33, has played a major role at Apron Fuel Services, enabling its growth within the aviation industry over the past nine years. His involvement includes supplying de-icing fluid to many key Canadian airports such as Toronto Pearson, Kelowna, Hamilton, and Whitehorse. A national supplier known for its close relationships with major oil refineries, fuel brokers and transportation providers, Apron appointed Hunt as VP in August 2017, after he spent more than two years as the company’s director of business development. He built an understanding of the industry serving as a sales manager for five years when he first joined Apron, before becoming GM for a year. 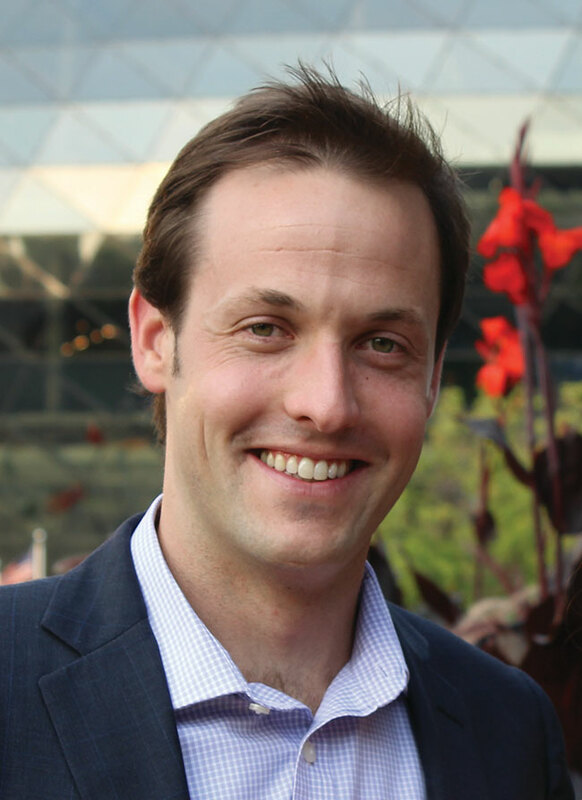 Hunt holds a Bachelor Science degree from McGill University, where he was a member of the varsity ski and sailing teams. 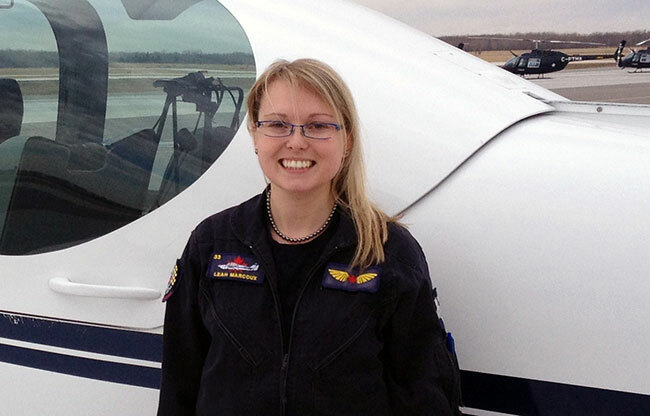 Cecily Kennedy, age 37, has been in Canada’s aviation industry since 2002. After becoming an assistant chief pilot in 2013, she moved to Fast Air in 2016 to serve as its chief pilot. Founded in 1995, Fast Air today holds Manitoba’s largest charter fleet of turboprop, rotary wing and business jet aircraft (20 aircraft in total) operating out of a private terminal at the Winnipeg Richardson International Airport. The company also provides expertise in sales, avionics, maintenance, aircraft management, charter services and an FBO location. Kennedy is current on the Hawker 800, King Air 200 and 350 aircraft, while also providing expertise as an Approved Check Pilot. In this capacity, and serving as chief pilot, she ensures that the training standards for up to 40 pilots is managed and maintained to meet Fast Air’s standards. “This position is especially challenging with the high turnover of flight crews at this time. In addition to this, she has gained the respect of the flight crews for her ability to get things done on their behalf,” explains Dennis Lyons of Fast Air. 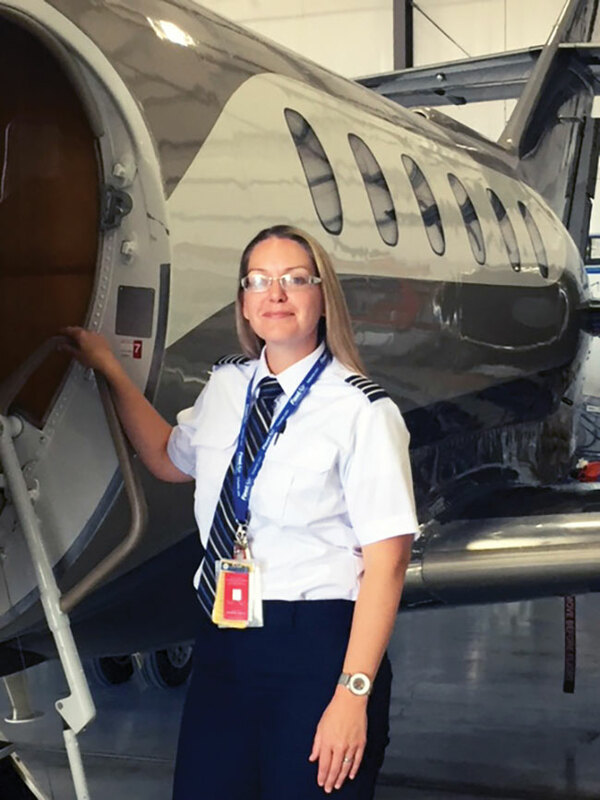 Kennedy recently became involved with the Elevate Aviation program, based out of Edmonton, AB, to help provide opportunities for young woman in Canadian aviation. She has already hosted one group of aspiring aviation youth from Manitoba at Fast Air, showing them firsthand what career opportunities are available. In May 2018, Elevate received $426,000 in funding from the Federal government to expand its program across the country. Nolan Kiely, age 33, after graduating from the Commercial Aviation Management program at the University of Western Ontario, gained key industry experience working in operations for Sunwing Airlines, Image Air Charter and Flightexec. Moving back to the London area in 2016, Kiely joined New United Goderich (NUG) to develop an entirely new program to promote NUG’s multiple initiatives to the global marketplace. This program includes initiatives like obtaining a Special Flight Operations Certificate, introducing UAVs onsite, obtaining panoramic footage of NUGs facility and work, and expanding business relationships. Kiely is now directing efforts toward his startup enterprise called Crimson Air Services. 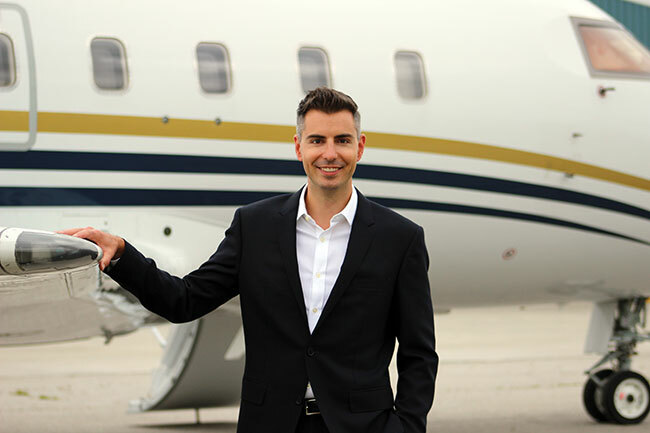 The company is structured to fill what he sees as a gap in the market for a locally based aircraft charter brokerage and to overcome what he describes as a disconnect between private-jet clients and the companies servicing them. Crimson Air is structured to provide custom-tailored private jet travel services to clients. Michael Kleywegt, age 38, is the founder of AirSuite and lead developer of its flagship product, Cirro, described as flight management software to meet the needs of an entire aviation operation. Over AirSuite’s past two quarters, Cirro was integrated onto 280 civil and military aircraft, as the company secured 35 worldwide clients. 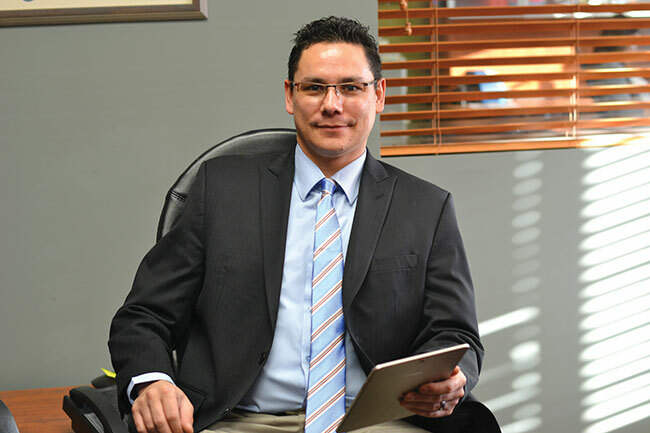 Kleywegt, a First Nations person and father of five, is also a helicopter pilot with 5,000 hours of flight experience. A self-taught software developer, he began developing these skills to build an in-house solution for a local helicopter company. After an arduous Transport Canada audit, he explains, the company decided it needed a better solution to streamline the auditing process. After Transport Canada’s positive response to the program he built during a subsequent audit, Kleywegt was motivated to brand and sell the Cirro product to the wider market in Canada. AirSuite continues to work with that original Helicopter client and has since become a leading provider of flight management software in Canada’s commercial rotary market. AirSuite has also expanded into the small- to-medium-sized fixed-wing market, as well as air cargo, air medical, rotor-wing aviation schools and the business-jet market. AirSuite is now an active member of HAC, HAI and an authorized distributor of NAV Canada charts. The company employs a staff of eight and its developers are continually working on software improvements. The team is now working to break into the export market and reach clients in the United States and Europe. The newest development feature in Cirro is the roll out of a complete Safety Management System, which is fully customizable and embedded into Cirro. 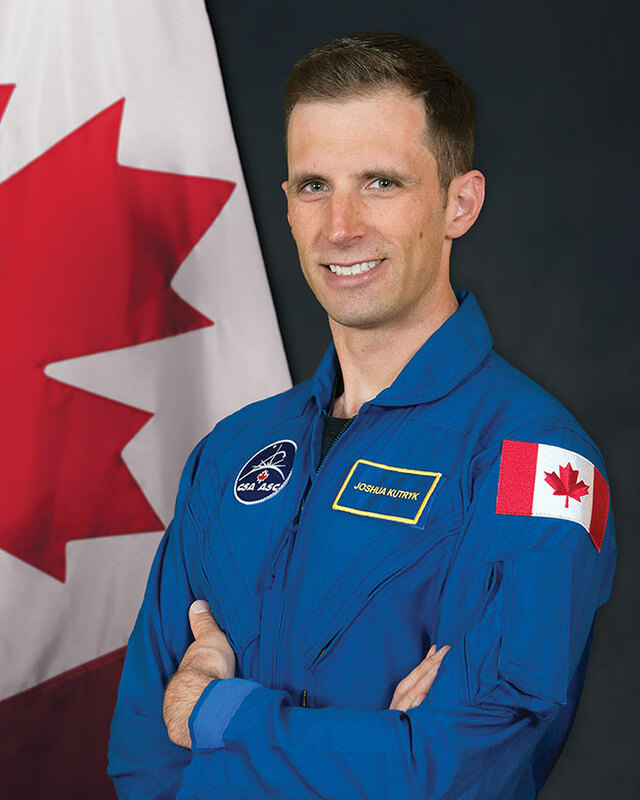 Lieutenant-Colonel Joshua Kutryk, age 36, was raised on a cattle farm in eastern Alberta and in July 2017 became one of two recruits selected by the Canadian Space Agency to become an astronaut, only the country’s fourth such recruitment process that happens approximately every seven years. Kutryk previously served as a test pilot, fighter pilot and engineer in the Royal Canadian Air Force. He holds a bachelor’s degree in mechanical engineering; master’s in space studies; master’s in flight test engineering; and master’s in defence studies. His certifications include airline transport pilot licence, fixed wing experimental test pilot, fighter pilot, civilian and military instructor pilot. 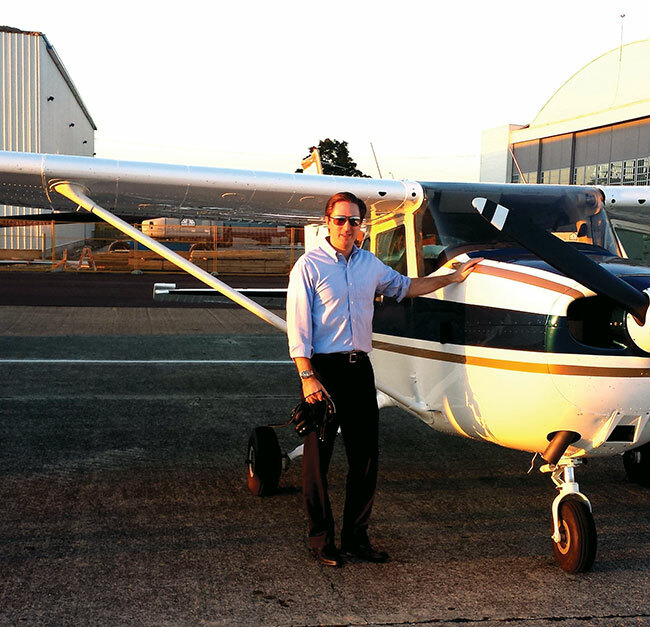 He has more than 2,800 hours of flying experience on more than 25 aircraft types. Prior to joining the Canadian space program, Kutryk worked as an experimental test pilot and a fighter pilot in Cold Lake, AB, where he led the unit responsible for the operational flight-testing of fighter aircraft in Canada. As the officer in charge of fighter evaluations, he was responsible for safely conducting the initial airborne evaluations of new technologies and systems on the CF-18. He worked with a team of aerospace engineers, analysts, aircraft technicians and program managers in order to make the CF-18 safer and more effective in its mission. LCol Kutryk has worked on a variety of technical flight test projects, ranging from out-of-control flying to automated navigation and flight control systems to weapon guidance and control. In addition, he has worked extensively as an instructor, teaching other pilots how to fly the CF-18. In 2012, Kutryk received the prestigious Liethen-Tittle Award from the United States Air Force for being its top test pilot graduate, an award also presented to Colonel Chris Hadfield in 1988. From 2007 to 2011, LCol Kutryk served as a CF-18 fighter pilot with 425 Tactical Fighter Squadron in Bagotville, QC. During that time he flew missions in support of NATO, UN and NORAD commitments around the world. He has been deployed in both Libya and Afghanistan. Stéphanie Laforest, age 35, was responsible for the integration of the Airbus-CSeries joint venture. The transaction – one of the largest in North American aviation – closed earlier than first planned on June 7, 2018 (officially July 1, 2018). As a result, Airbus acquires a majority stake in the C Series Aircraft Limited Partnership (CSALP), which expects to capture a large share of the projected need for more than 6,000 100- to 150-seat airliners over the next 20 years. Laforest joined Bombardier in 2008 as part of the strategy and product development team for the chief engineer of Bombardier Aerospace, contributing to the company’s aircraft development. She was promoted to marketing account manager in 2009, leading the marketing activities of the Africa and Middle East regions within the Commercial Aircraft business unit (CSeries, Q400, and CRJ). 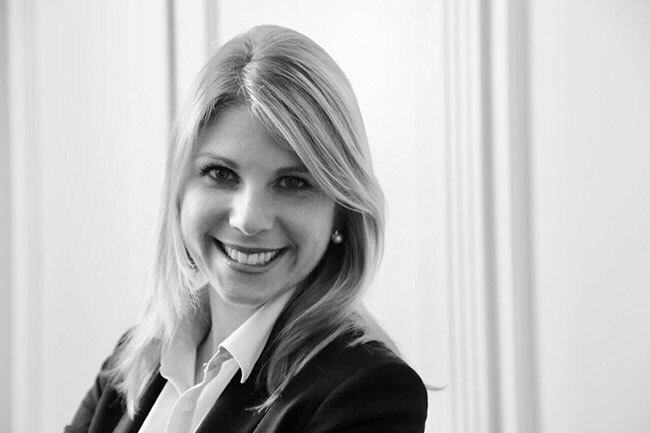 In 2010, she was transferred to Berlin, Germany, to join the Corporate Audit and Risk Management unit of Bombardier, focused on mitigating business risks in locations like China, Romania, Hungary, U.S., France and the UK. In 2012, Laforest became manager, strategy and business development for Bombardier’s Locomotives division based in Zurich, Switzerland, and then promoted to senior director, strategy and business development in November 2013. For this role, she returned to Berlin and was responsible for the strategic orientation, business development and alliances with key partners and also helping to incubate a new product concept. Laforest returned to Bombardier’s corporate office in Montreal in late 2016, working on various strategic projects in close collaboration with Bombardier’s CEO and the executive committee. Carter Mann, age 30, is a third-generation pilot who has been a member of the Canadian Owners & Pilots Association (COPA) before starting to fly. He joined COPA’s staff in January 2017, after growing his career in Ottawa and Vancouver in various communications roles for governmental and political offices, including his recent work for the Premier of BC (2016). Mann previously served as press secretary for the Department of National Defence (spring 2013) and the Canada Revenue Agency (2013-2015), in addition to assisting the Minister of Public Safety Canada from 2011 to 2013. After graduating from the University of British Columbia with a bachelor’s degree in International Affairs, he interned with the Office of the Minister of State (Transport), before his first aviation job as a linecrew technician for Signature Flight Support (Esso Avitat), at the Vancouver International Airport (YVR), where he stayed for six years. As part of COPA’s partnership with Transport Canada in the General Aviation (GA) Safety Campaign, Mann now plays a key role in the planning of new initiatives. His mandate is to improve safety across GA without imposing harsh, costly new regulations on pilots and aircraft owners. Mann also works closely with organizations like NAV Canada, provincial aviation councils, and with local COPA chapters. He led initiatives like COPA’s Members Choice Awards to rejuvenate membership and GA interest. His revamping of COPA’s flight school/student membership program has seen participation grow from four to almost 200 in one year. He is also refreshing COPA’s brand, logo and professional position. Leah Marcoux, age 30, has spent nine years building her aviation career with KF Aerospace, currently serving as assistant chief flying instructor for Grob Operations within the organization’s Defense Programs division. She helps manage the flight training for approximately 200 student pilots and navigators annually for the Royal Canadian Air Force (RCAF). 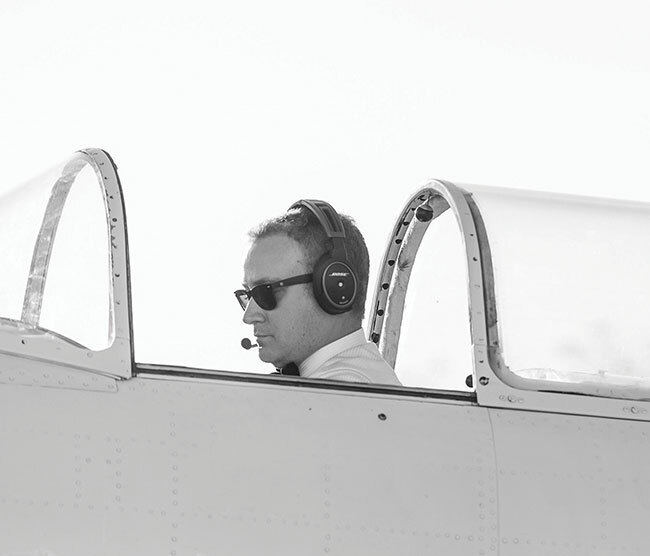 Marcoux joined KF Aerospace’s instructor team in 2009 and was promoted to assistant chief flying instructor in 2011. Her position is only one of two in Canada, where she manages a staff of civilian flight instructors and military students, while working in concert with the CFI and various DND staff members. She manages to maintain her civilian qualifications in addition to her RCAF supervisory training duties. She now instructs students on the Grob 120, which is fully IFR and aerobatic certified. As a Class I instructor, she helps students to often realize their dreams by graduating as winged military pilots with the RCAF, ready to be deployed around the world. As a former air cadet, Marcoux gives back to the cadet program by serving as a board member, helping to select cadets for power flying scholarships. The training aspect of KF Aerospace took on even more importance in May 2018, when it aligned with CAE to form SkyAlyne Canada, a 50/50 joint venture that will focus on developing military pilot and aircrew training in Canada. KF Aerospace will continue to focus on flight training and support, as SkyAlyne focuses on synergies with CAE’s contributions. The move gives KF Aerospace more power to provide RCAF with world-class training, which becomes critical as the Canadian government works toward determining its next generation fighter jet. Kristen McCallum, age 36, began her aviation career as a reservations agent in 2004 at Skyward Aviation in Thompson, MB. She then became a Metro first officer with Perimeter Aviation in 2006 and after two years became captain. In March 2009, she successfully landed a Metro II “gear-up” in Winnipeg, MB, after the landing gear failed to extend. McCallum and her fellow crew member were credited for safely landing the aircraft, which resulted in no injuries to passengers or crew. From 2011 to 2014, McCallum progressed through the flight line in the Dash 8, as she also focused on a training role to develop operationally safe and effective flight crew. In 2014, she joined Transport Canada as a civil aviation inspector, flight operations. In this role she is responsible for: Aviation safety oversight of, and service activities for, individuals, enterprises, organizations, and Minister’s delegates. 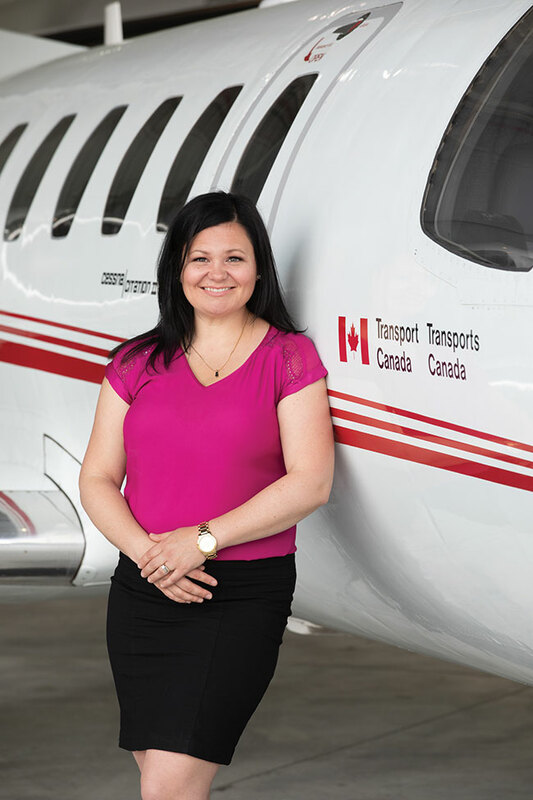 McCallum is also responsible for verifying, in the context of flight operations, compliance with the Canadian Aviation Regulations and she promotes proactive enterprise-wide Safety Management Systems for the safety of civil aviation operations. Through her work at Transport Canada, McCallum has led several planned surveillance activities of air operators. Scott McFadzean, age 37, has spent the past 16 years of his career with the Canadian operation of Diamond Aircraft Industries (DAI), shortly before graduating from the University of Western Ontario’s Bachelor of Administrative and Commercial Studies/Commercial Aviation Management Program in 2003. Diamond, established by Austrian aircraft designer Wolf Hoffmann in 1981, sold 60 per cent share of its Diamond Aircraft Canada operation in late-2016 to the Wanfeng Aviation, part of the Wanfeng Auto Holding Group. DAI today is noted as the third largest manufacturer of aircraft for the general aviation sector, with manufacturing facilities in London, Austria and joint venture production lines in other nations like China. In May 2018, DAI, with the lead of McFadzean, made its largest fleet sale in a 50 aircraft order (DA40NG and DA42-V) by Republics Airways. McFadzean’s first position with Diamond Aircraft Canada was as supply chain manager (2002-2005), before being promoted to continuous improvement manager (2005-2006), where focused on improving Diamond’s manufacturing efficiency. In 2006, McFadzean was promoted again to serve as project manager to the president (2006-2007), working closely with company leader Peter Maurer. McFadzean soon took on the additional responsibilities as acting director, sales and marketing (2006-2007), and in 2008 accepted a new challenge as director of operations (2008-2011) for Diamond Aircraft. In 2011, Diamond Aircraft sales exceeded $100 million annually for the first time in the company’s history and production increased to one aircraft per day. During this time, McFadzean took on the additional workload of completing his post-graduate degree. He graduated from Georgetown University in Washington, DC, and ESADE School of Business in Barcelona, Spain, with a master’s. In 2011, McFadzean accepted the role of VP of operations (2011-2013), then executive VP (2013-2016) and chief operating officer (2017). In December of 2017, McFadzean succeeded Peter Maurer as chief executive officer of DAI. 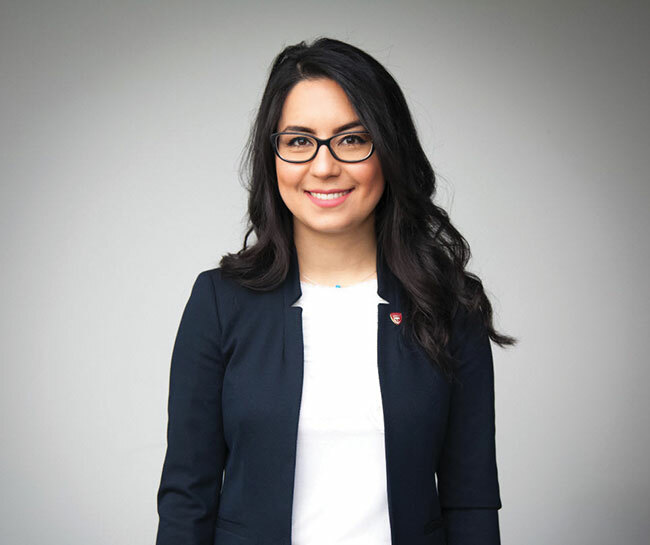 Niloofar Moradi, age 31, earned her undergraduate degree in mechanical engineering from Concordia University in 2010 and launched her career at Rolls Royce Canada in the energy sector. Drawn to aviation and aerospace, Moradi later joined Pratt & Whitney Canada (P&WC) as an aerodynamicist, where she was involved in all aspects of turbine aerodynamics, from research and airfoil design to engine development and production support. In 2016, concurrent with her design work at P&WC, Moradi earned her master’s degree from École de Technologie Supérieure as a significant player in the creation of a multi-disciplinary design optimization system. She was responsible for creating a rapid three-dimensional airfoil generator program that is now an integral part of this overall design system. Moradi has done design work for several P&WC engines, including the PT6C-67A, powering the AW609 Tiltrotor. She currently works in the Turbine Mechanical Design department, where she designs and integrates turbine components. 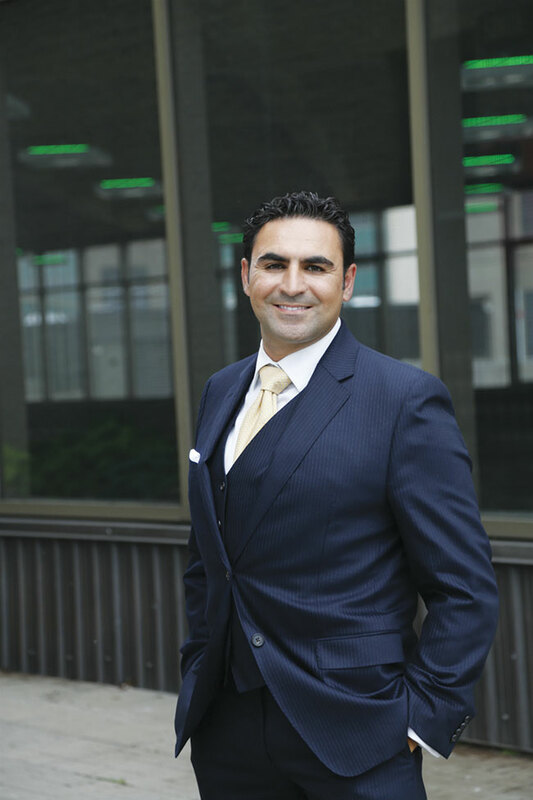 Moradi, also focused on encouraging and creating new opportunities for the next generation of engineers, is a member of the Industrial Advisory Board for the MIA Engineering Department of Concordia University. She works in conjunction with faculty members to continuously adapt engineering education according to industry needs. She is also a member of the Aerospace sub-committee of the Palais des Congrès de Montréal, helping to organizing major aerospace events in Montreal such as the 2015 ASME Turbo Expo and, most recently, the 2018 Global Power and Propulsion Society conference. 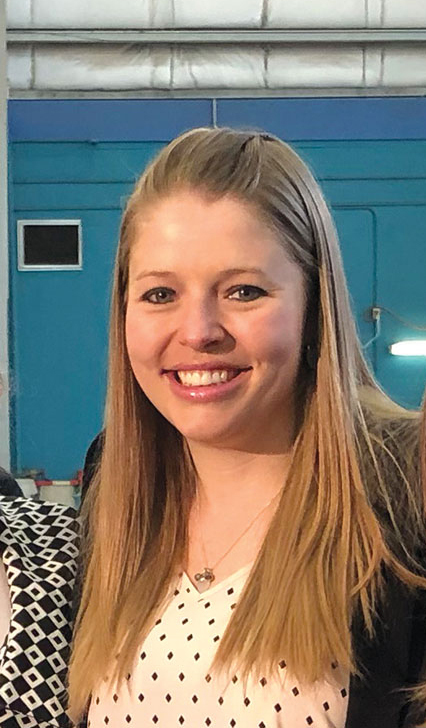 She has been involved with P&WC’s Women Leadership Committee since 2015, while also promoting charitable organizations such as Dress for Success, L’envol, and Operation Christmas Child. Moradi was recently named the 2018 Young Alumnus/Alumna of the Year by Concordia University and received the 2018 Engineering Award from Elsie MacGill Northern Lights. 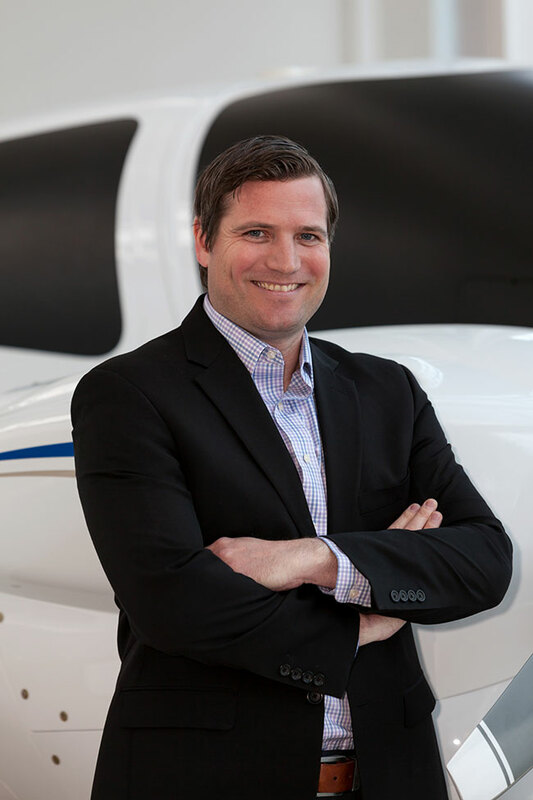 Jeff Muir, age 36, oversees a team of sales, marketing and account management professionals at WinAir, which develops aviation management software with hundreds of installations at worldwide aviation organizations – from airlines and heli-ops to law enforcement agencies and oil suppliers. 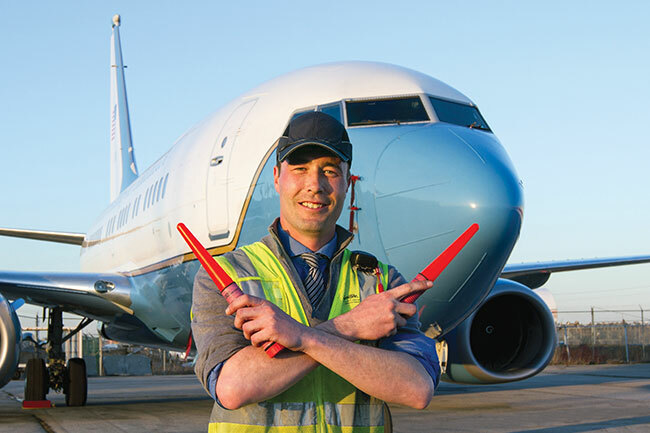 WinAir technology is designed to manage aircraft maintenance and inventory control. 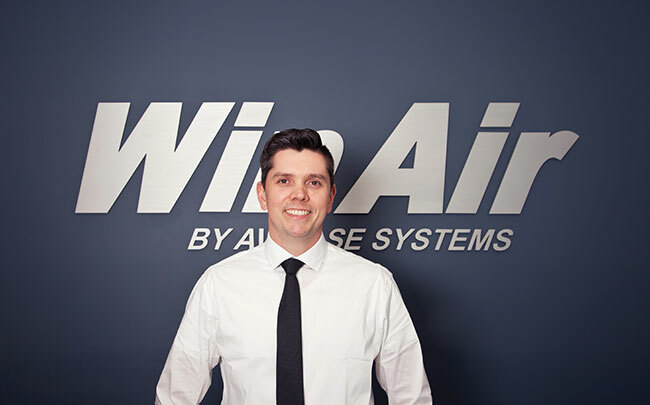 Muir joined WinAir in 2009 as a business development representative and quickly began to develop his sales skills at client locations in Africa, North America and Europe. After focusing on the business-side of aviation maintenance, Muir worked to expand his understanding of consultative services, project planning, software and process implementation, and change management. Today, he manages accounts for a range of global aviation industry subsets. He has been directly involved in the implementation of new product installations and client upgrades at hundreds of aviation-specific organizations in more than 30 countries. In 2017, Muir was promoted to his current managerial position at WinAir. In addition to setting group expectations, defining sales and marketing priorities, and establishing company goals, he is charged with generating new business opportunities. Malak Sedra, age 39, spearheads EASi, which is part of the global recruiting giant Aerotek. He took on his current role in May 2017 with the goal of creating a culture change at the centre. Leveraging his aerospace design experience, Sedra works closely with business development teams to grow engagements like designing aircraft interiors and ducting or aero-derivatives gas turbines. Sedra holds a bachelor’s degree in mechanical engineering, specializing in thermo-fluids and propulsion, as well as an executive MBA from John Molson School of Business, and a PMP designation. Working with companies like Pratt and Whitney Canada (P&WC), Goodrich and Triumph, Sedra is proficient in electrical hardware, engine certification, EMI, and fuel control design, among other skills. At P&WC, he was one of its youngest team leads responsible for the PT6C-67A, the power plant on the BA609 tilt rotor. He worked on almost all engine models at P&WC during his tenure and as a systems engineer focused on hydro-mechanical design within fuel systems and supported engine tests. He was certified by Andrew’s Airforce base to be the systems engineer for tests on P&WC’s Boeing 720, which included altitude testing at up to 40,000 feet. At P&WC, he then took on an aftermarket project management position before working with Goodrich as a program manager for its pump engine controls. EASi was also attracted to Sedra because of his entrepreneurial mindset, having founded businesses like Sedracorp.com and Sedratech.com, which have been put on hold since taking leadership of EASi. He remains CEO of training platform e-SKY.ca. 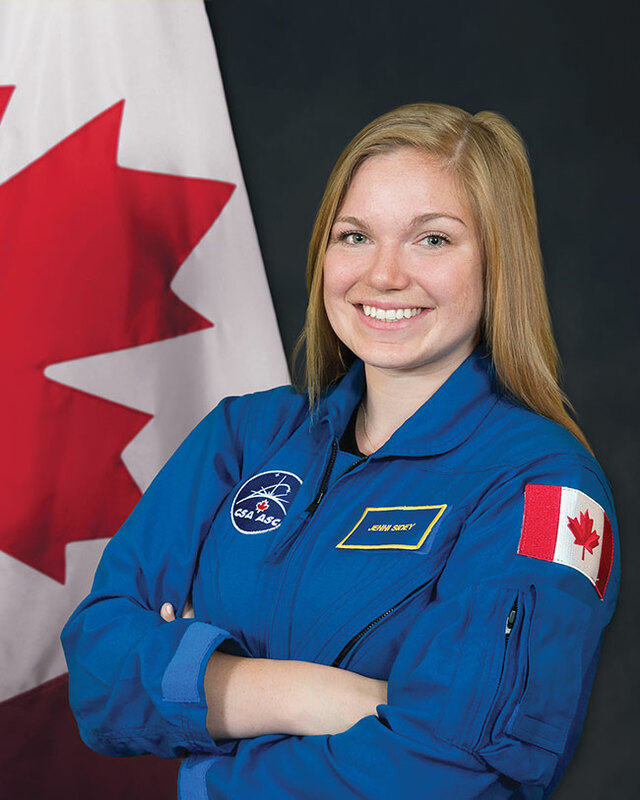 Dr. Jenni Sidey-Gibbons, age 29, was one of two recruits selected in July 2017 by the Canadian Space Agency (CSA) to become an astronaut, only the country’s fourth such recruitment process. She relocated to Houston for a 2-year training program at Johnson Space Center as a part of NASA’s new astronaut class. Sidey-Gibbons holds an honours bachelor’s degree in mechanical engineering from McGill University (2011), where she conducted research on flame propagation in microgravity in collaboration with CSA and the National Research Council Flight Research Laboratory. She then moved to the UK to earn a Ph.D. focusing on combustion from the University of Cambridge (2015). Her research at Cambridge was built around flames, how we use them, and how to stop them from emitting harmful pollutants. She worked on the development of low-emission combustors for gas turbine engines, while also serving as assistant professor in Energy, Fluid Mechanics and Turbomachinery the program. Sidey-Gibbons is also the co-founder of the Cambridge chapter of Robogals, an organization that aims to empower young women in STEM. Through this work, she has taught programming to more than 3,000 young girls across the UK. Alex Welch, age 35, began working with InterVISTAS 12 years ago and is now providing critical support to Canadian airline and airline clients with analytical route and network development. His consulting is also delivered in places like New Zealand, the Caribbean and Africa. “Alex has brought innovative approaches to route and network development in Canada, not only using large data and global scope route and network development software, but recognizing their limitations and supplementing with unique contributions of his own to tailor results to the realities of Canadian aviation,” explains Dr. Michael Tretheway, managing director of InterVISTAS. Several airports have realized new air services as a consequence of his marketing efforts, explains Tretheway, and carriers have been able to improve fleet utilization and market profitability. In addition to his Masters in Economics from the University of British Columbia, Welch recently completed InterVISTAS’ leadership development program though the TIAS School for Business and Society. His selection for the program marks him as a future corporate leader. Welch is a frequent guest lecturer at the British Columbia Institute of Technology and currently sits on an advisor board for the Vancouver School of Economics at the University of British Columbia. Sophia Wells, age 31, has been with the Edmonton Flying Club for nine years, including the past five as chief flight instructor. She has also worked with Elevate Aviation for the past three years as one of its first executives. In May 2018, Elevate received $426,000 in funding from the government’s Support for Women’s Economic Security program. Wells is a graduate of the Mount Royal University’s aviation program. She holds an airline transport pilot’s license and serves as a Transport Canada pilot examiner. She is also a Navajo captain for Morgan Construction and often works at North Cariboo Air in customer service and passenger screening. At Elevate, Wells primarily works to encourage young women to join the industry. She leads the Elevate Mentorship program, training and connecting mentors from across the country with those who are looking for support and guidance. She has also been a key part of Elevate’s fundraising calendar that promotes inspiring stories of women in of aviation and raises funds for both the Lois Hole Hospital for Women and the Elevate Aviation Bursary program that has raised more than $80,000.